Victoria Salvat, instructional coach for Greenville County Schools in SC, dives into the importance of creating collaborative coaching schedules with teachers and how it helps to combat coaching hazards. 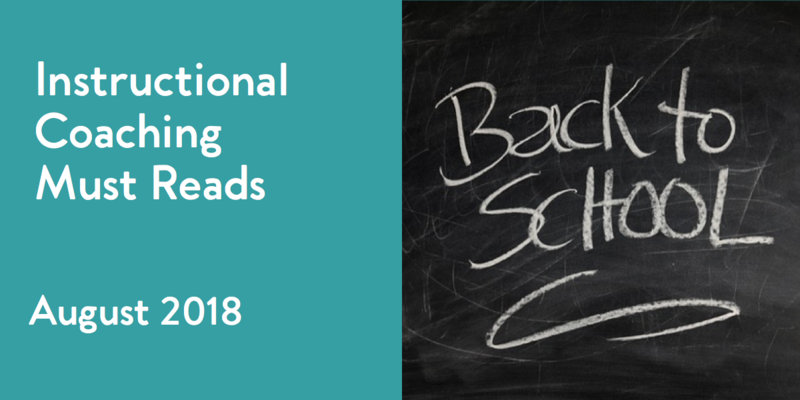 Indulge in the top articles from August's weekly coaching roundups below and learn about tips for new instructional coaches, navigating difficult conversations, the causes of coaching reluctance, how coaches prepare for a new year, and more. TeachBoost continues to ask instructional coaches what tools they include in their instructional coaching toolbox as part of our TeachBoost series, Your Coaching Toolbox—resources, tips, and reflections for instructional coaches, by instructional coaches. In part one of her two-part series, Cailin Minor, literacy coach at Shanghai American School in China, first dissects the causes for teachers feeling "stuck" and reluctant towards coaching.